What Personal Information About Customers Does Amazon.in Gather? Does Amazon.in share the Information it receives? Are Children Allowed to Use Amazon.in? 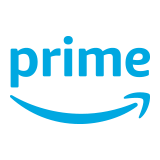 Any personal information provided to or gathered by Amazon Seller Services Private Limited under this Privacy Notice will be stored and controlled by Amazon Media EU SARL (the data controller), at 5 Rue Plaetis, L-2338, Luxembourg. Information You Give Us: We receive and store any information you enter on our website or give us in any other way. Click here to see examples of what we collect. You can choose not to provide certain information but then you might not be able to take advantage of many of our features. We use the information that you provide for such purposes as responding to your requests, customising future shopping for you, improving our platform, and communicating with you. Automatic Information: We receive and store certain types of information whenever you interact with us. For example, like many websites, we use "cookies" and we obtain certain types of information when your Web browser accesses Amazon.in or advertisements and other content served by or on behalf of Amazon.in on other Web sites. Click here to see examples of the information we receive. 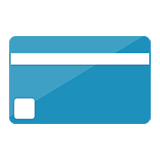 We may also receive/store information about your location and your mobile device, including a unique identifier for your device. We may use this information for internal analysis and to provide you with location-based services, such as advertising, search results, and other personalized content. E-mail Communications: To help us make e-mails more useful and interesting, we often receive a confirmation when you open e-mail from Amazon.in if your computer supports such capabilities. We also compare our customer list to lists received from other companies in an effort to avoid sending unnecessary messages to our customers. If you do not want to receive e-mail or other mail from us, please adjust your Customer Communication Preferences. We may be required to share the aforesaid information with government authorities and agencies for the purposes of verification of identity or for prevention, detection or investigation, including of cyber incidents, prosecution and punishment of offences. You agree and consent for Amazon.in to disclose your information, if so required, under applicable law. Information about our customers is an important part of our business and we are not in the business of selling it to others. Amazon.in shares customer information only as described below and with Amazon.com, Inc. and the subsidiaries which Amazon.com, Inc., controls and that are either subject to this Privacy Notice or follow practices at least as protective as those described in this Privacy Notice. Affiliated Businesses We Do Not Control: We work closely with affiliated businesses. In some cases, such as Marketplace sellers, these businesses operate stores at Amazon.in or sell offerings to you at Amazon.in. In other cases, we provide services jointly with or on behalf of these businesses. Click here for some examples of co-branded and joint offerings. You can tell when a third party is involved in your transactions and we share customer information related to those transactions with that third party. Promotional Offers: Sometimes we send offers to selected groups of Amazon.in customers on behalf of other businesses. When we do this, we do not give that business your name and address. If you do not want to receive such offers, please adjust your Customer Communication Preferences. Our site includes third-party advertising and links to other Web sites. For more information about third party advertising on Amazon.in, including personalised or interest-based ads, please read our Interest-Based Ads policy. 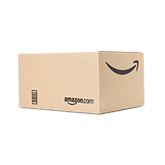 Amazon.in gives you access to a broad range of information about your account and your interactions with Amazon.in for the limited purpose of viewing and, in certain cases, updating that information. This list will change as our website evolves. If you have any concern about privacy or grievances at Amazon.in, please contact us with a thorough description and we will try to resolve the issue for you. You provide most such information when you search, buy, bid, post, participate in a contest or questionnaire or communicate with customer service. For example, you provide information when you: search for a product; place an order through Amazon.in or one of our third-party sellers; provide information in Your Account (and you might have more than one if you have used more than one e-mail address when shopping with us) or Your Profile; communicate with us by phone or otherwise; complete a questionnaire or a contest entry form; compile Wish Lists or other gift registries, provide and rate Reviews; and employ other personal notification services such as such as Available to Order Notifications. As a result of those actions, you might supply us with such information as: your name; address and phone number; credit card information; people to whom purchases have been dispatched (including addresses and phone numbers); content of reviews; the personal description in Your Profile; and financial information. Examples of information we receive from other sources include: updated delivery and address information from our carriers or other third parties, which we use to correct our records and deliver your next purchase or communication more easily; account information, purchase or redemption information and page-view information from some merchants with which we operate co-branded businesses or for which we provide technical, fulfillment, advertising or other services; search term and search result information from some searches conducted through the Web search features offered by Amazon Group Companies, Alexa Internet and A9; search results and links, including paid listings (such as Sponsored Links from Overture); and credit history information from credit bureaus, which we use to help prevent and detect fraud and to offer certain credit or financial services to some customers. Examples of information you can access easily at Amazon.in include: up-to-date information regarding recent orders; personal information (including name, e-mail, password, communications and personalised advertising preferences and address book); payment settings (including credit-card information and gift certificate, gift card and cheque balances); e-mail notification settings (including Alerts, Available to Order notifications, Delivers, Recommended for You and newsletters); recommendations (including recent product-view history, prior-order history and Favourites); Wish Lists and Marketplace seller accounts and Your Profile (including your product Reviews, Requests and Recommendations, your Listmania lists, "So You'd Like to..." guides, personal profile, people you tagged as interesting, and Amazon Friends). Click here to report infringement. Click here to report issues with orders, delivery or sellers.